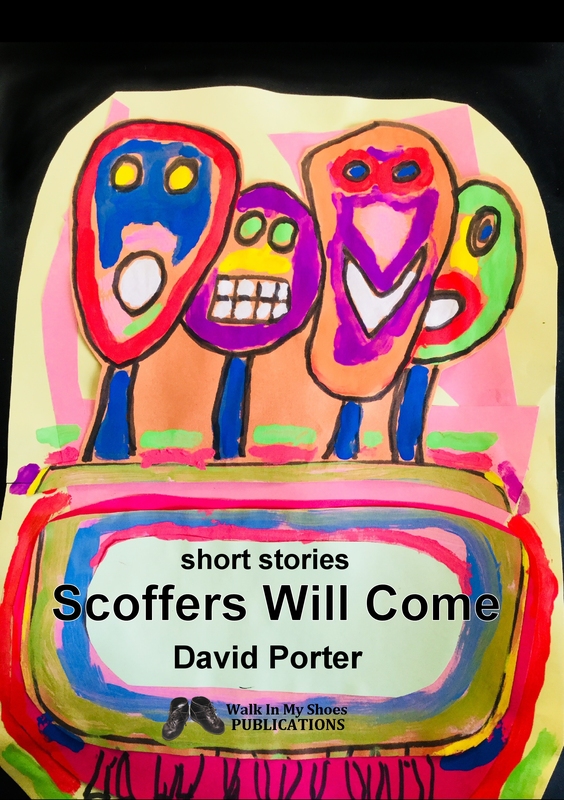 Scoffers Will Come – more stories out now! 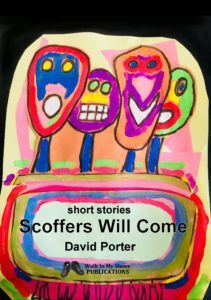 Scoffers Will Come is the second collection of my short stories. They draw on my experiences as drama student, children’s theatre performer, drama teacher, examiner/assessor, political organiser and Member of Parliament. There are also ideas from elsewhere. As I self-published my first anthology, Wild Beasts and Plague (2018) I had more stories than I could accommodate in one volume. So, Scoffers Will Come is the vehicle for new stories and re-dreamed tales from the 1960s to the present day and beyond. These tales play through both strange and normal times. They sit in absurdity and surrealism, dark humour, tragedy, revenge, suffering, thwarted personal plans and growing old. All the lot of human life. Through life’s quirks and character idiosyncrasies they reflect the voice I’ve developed over a lifetime of writing, public speaking, performing and presenting. Besides the title story, Scoffers Will Come, the titles include Nobody Will Dance With Me, Pleasing the Crowd and Approximately Charlie and George. We have A Theatre Empties, Cages for Laughter and Stop That Laughing. There is also Breath-Play, Gone Away for Good, The Blue-Arsed Fly, A Chorus of Hallelujahs and Howling Darkness. The Alcatraz Stretch, Cedric’s Left the Building and Time to Stand and Scream complete the selection. The volume is published under my ‘Walk in My Shoes Publications’. It’s the imprint of a man suffering the deformed feet of the condition, Charcot Marie Tooth disease. Having it all my life has, naturally, defined me, but hasn’t stopped me leading a full, varied and challenging life. This is also available on Lulu. The Scoffers Will Come and Wild Beasts and Plague compilations and my dark revenge novel Old Men’s Dreams (2015) are available in paperback and Kindle versions on Amazon.